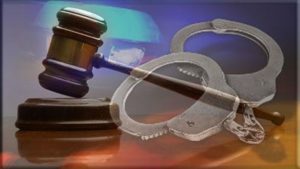 The 17-year-old learner, who stabbed his teacher to death at Ramotshere Secondary School in Dinokana near Zeerust, in North West, has been sentenced to 10 years in jail. The learner was sentenced in the Lehurutshe Magistrate’s Court. He pleaded guilty to killing Gadimang Mokolobate in September 2018. Mokolobate was invigilating in a classroom where learners were writing exams when he was killed. Magistrate Winnie Malane says the accused showed no remorse following the act. “You are, therefore, ordered to serve the following term of imprisonment. You are ordered to serve 10 years imprisonment in terms of Section 103 of the firearms control. I am of the opinion that you cannot be trusted of the firearm. You are, therefore, unfit to possess firearm in terms of Section 103 of control 60 of the year 2000,” says Malane.